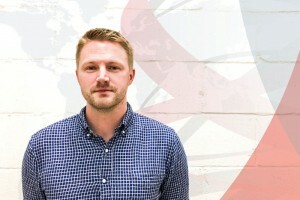 Edward began working with Harm Reduction International in 2018 as Communications Lead and brings extensive experience in strategic communications on public health and human rights. Prior to joining​ Harm Reduction International, he was a Communications and Advocacy Manager at Global Health Strategies in New York where he worked with clients such as the Bill & Melinda Gates Foundation and UNFPA on vaccine delivery, polio and family planning, among others. From 2014-17, Edward handled external relations and policy for Release, where he co-authored their 2016 report analysing drug decriminalisation models from around the world, and advised human rights advocates from the Global South on strategic communications. Edward formerly worked as a journalist in Colombia and has served as a technical adviser to the Global Commission on Drug Policy, including co-authoring their reports on access to controlled medicines and drug decriminalisation.